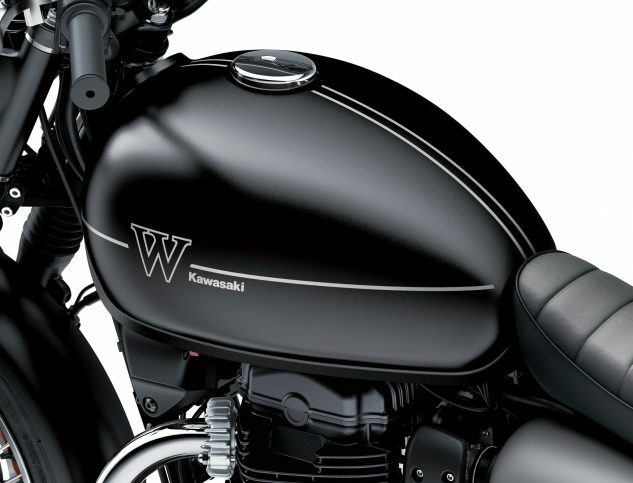 The W800 Cafe uses clubman-style bars and a taller, flatter seat, for a more forward-leaning riding posture. 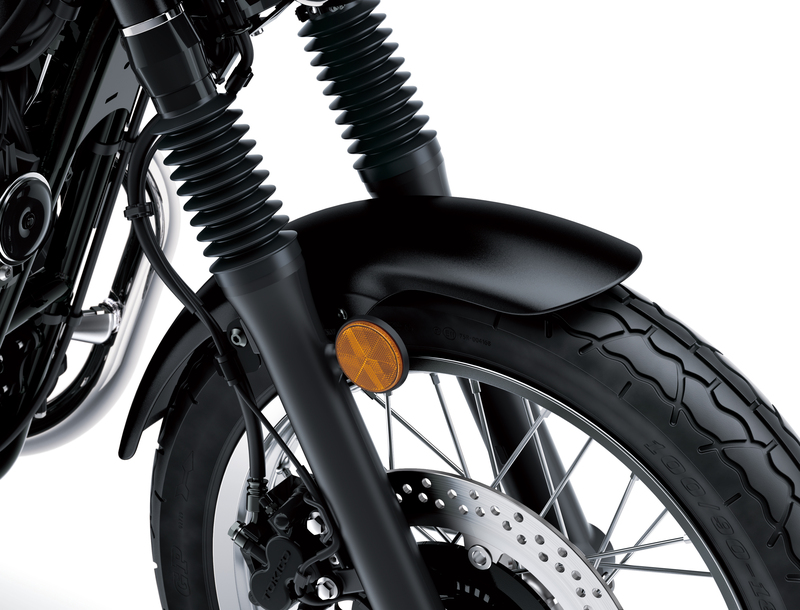 The W800 Street requires a more upright riding position, with the grips higher and further back. 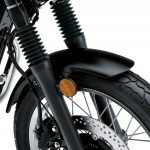 The saddle on the Street has a lower profile and a ribbed surface. 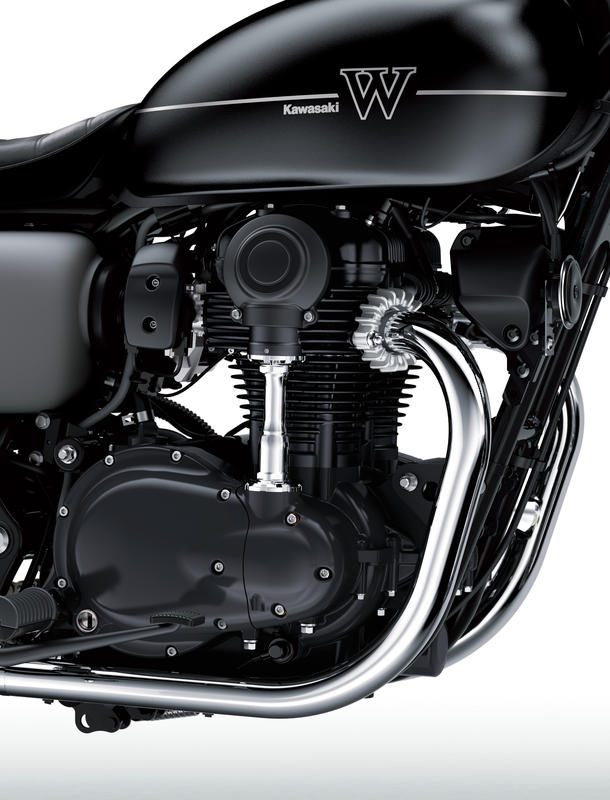 According to Kawasaki, the W800 Street has a 30.3-inch seat height, compared to the W800 Cafe’s height of 31.1 inches. 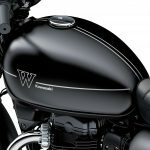 Sans fairing, the W800 Street claims a dry weight of 485 pounds, down from the Cafe model’s claimed dry weight of 489.4 pounds. 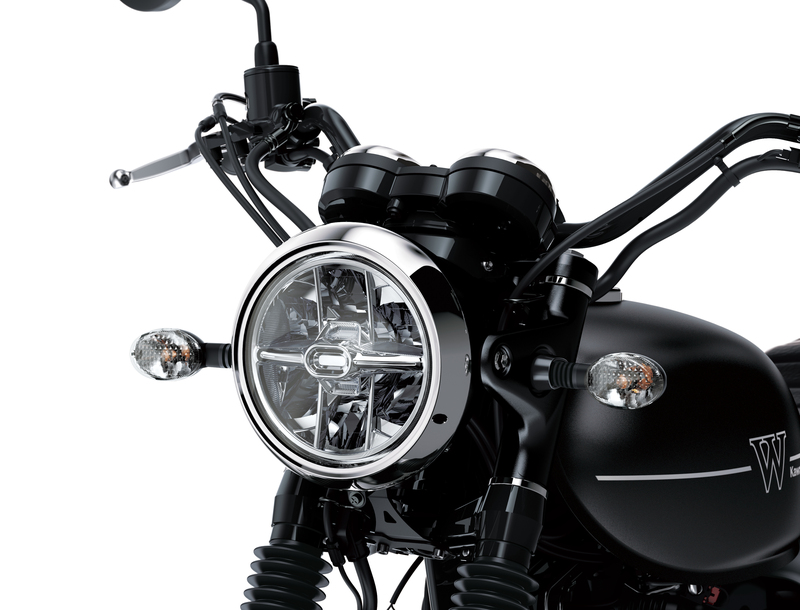 Apart from the differences in ergonomics and weight, the Cafe and Street vary slightly in styling. The Cafe model having a blacked out engine and wheels plus knee pads on the tank while the Street has silver-colored wheels and more chrome touches on the engine. 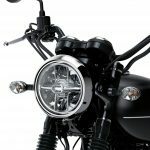 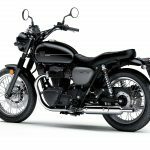 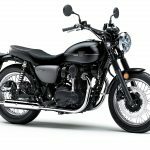 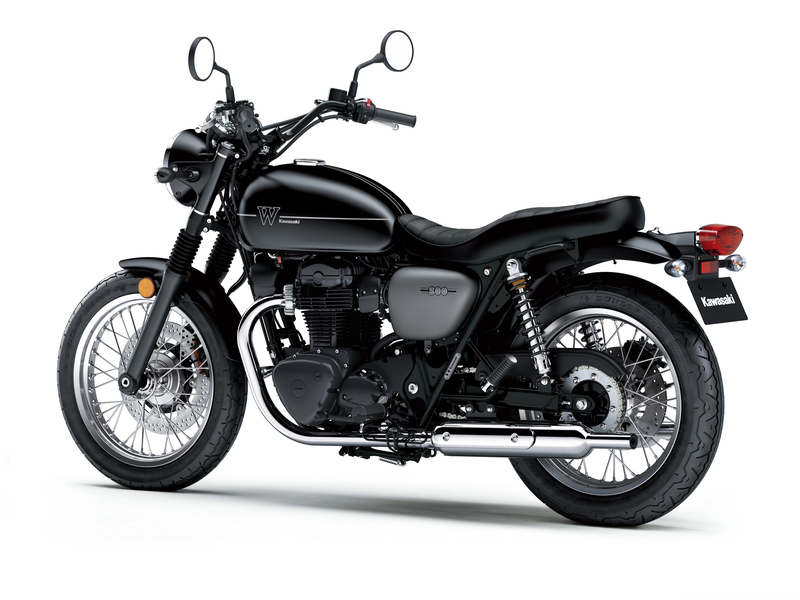 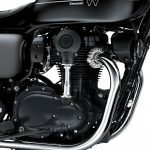 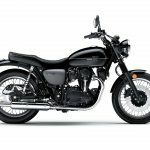 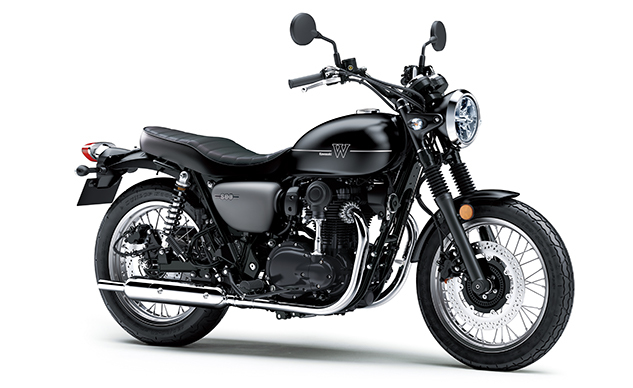 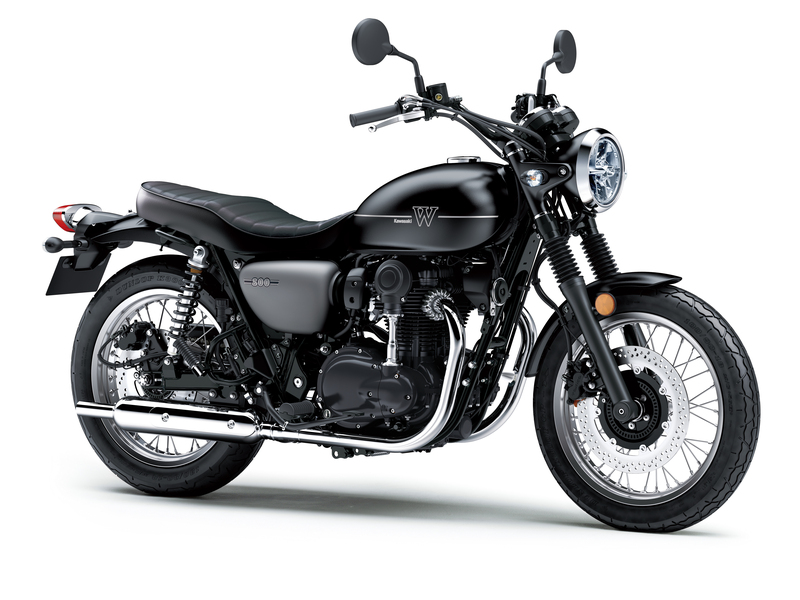 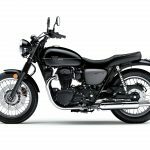 The 2019 Kawasaki W800 Street is only produced in a Metallic Flat Spark Black with Metallic Matte Graphite Gray color while the 2019 W800 Cafe comes in Metalic Magnesium Gray with Galaxy Silver. 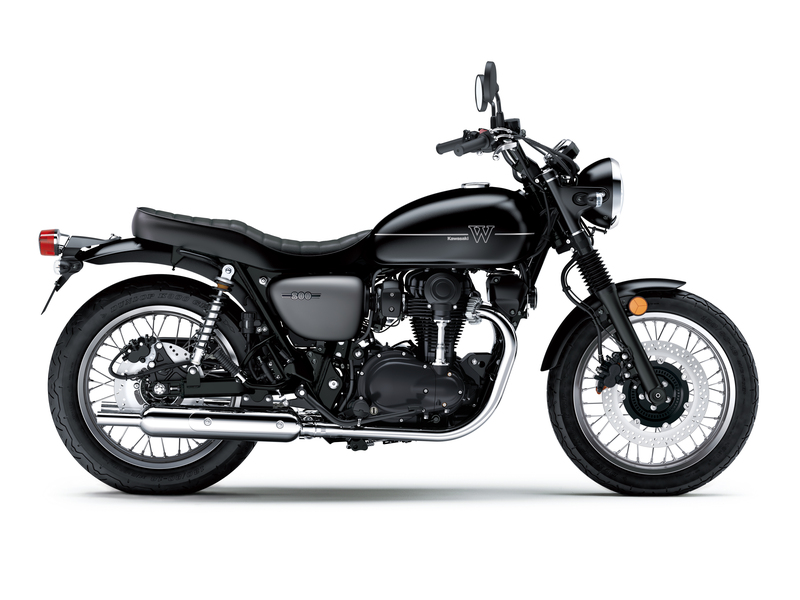 Obviously, since the W800 Street hasn’t been confirmed yet for the U.S., we don’t have any pricing information. 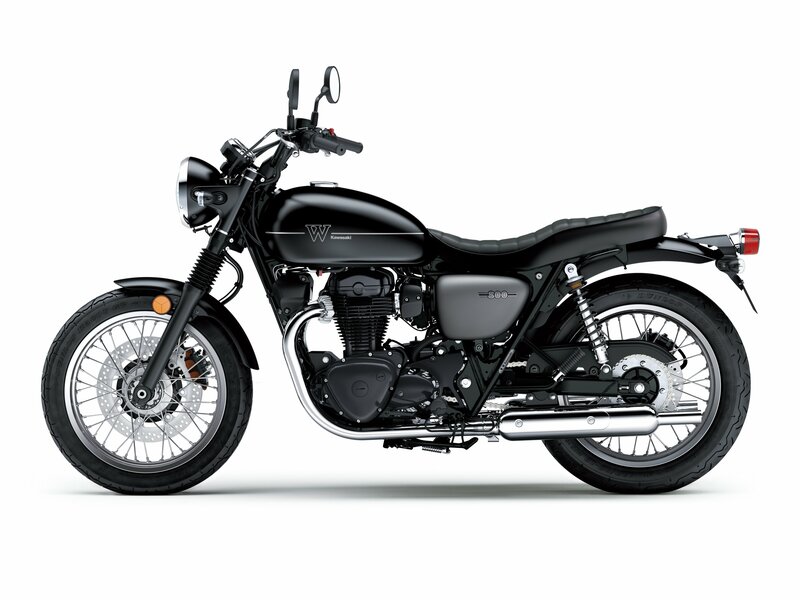 In Canada, where both models have been confirmed, the W800 Street is priced at CA$9,999 and the W800 Cafe at $11,499. For the U.S., we expect a much smaller price difference, with the W800 Street coming in just a bit under the W800 Cafe’s US$9,799 MSRP.